The exhibition is an annual celebration of contemporary painted portraiture by artists of all ages from across the world. The competition is one of the most important platforms for portrait painters and one of the largest global arts competitions. This year, 2667 entries were received from artists in 88 countries. 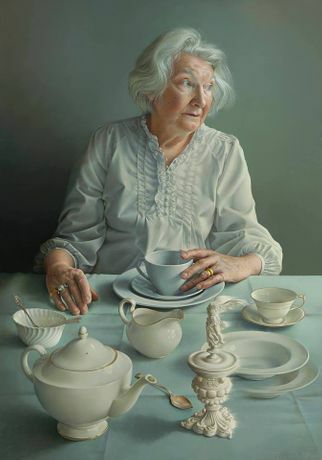 Each was judged anonymously by a panel of judges (the artists’ name, nationality, gender and age were withheld) and the list was gradually reduced to just 48 exceptional portraits for the exhibition. Each member of the judging panel addressed what makes an outstanding portrait, weighing up the likeness, narrative, structure and overall impact of the work.